Apply the concepts in this powerful guide and the personal and professional results—stronger relationships, influential leadership, and enthusiastic responses—will start coming in loud and clear! The popular phrase “leading from influence” takes for granted that influence derives chiefly from verbal communication. However, communication is about more than words. To get to the next level in your career, you must communicate with your entire self. 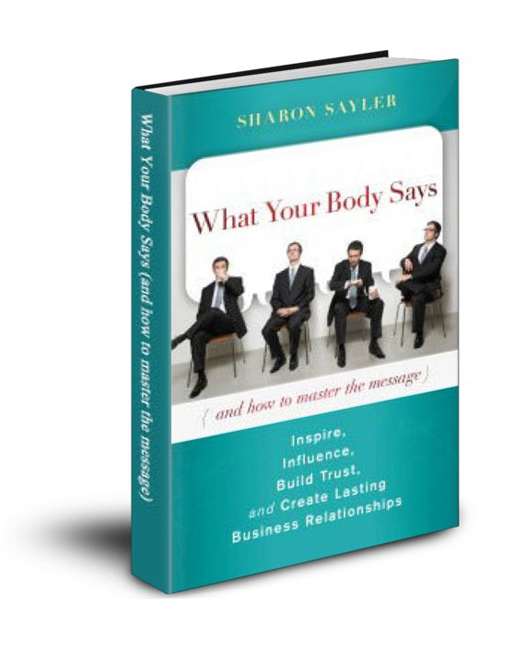 Written by Sharon Sayler, a highly accomplished expert in marketing, presentations, and body language, What Your Body Says is the only guide you need to achieve the competitive edge in your personal and business communication style.